2016 was a banner year for elections with over 30 countries in all continents carrying out a total of 133 elections. Total voter turnout amounted to some 757.6 million people. In the Americas, 2016 was a particularly busy year with two most populated countries (Brazil and the USA) going to the polls. 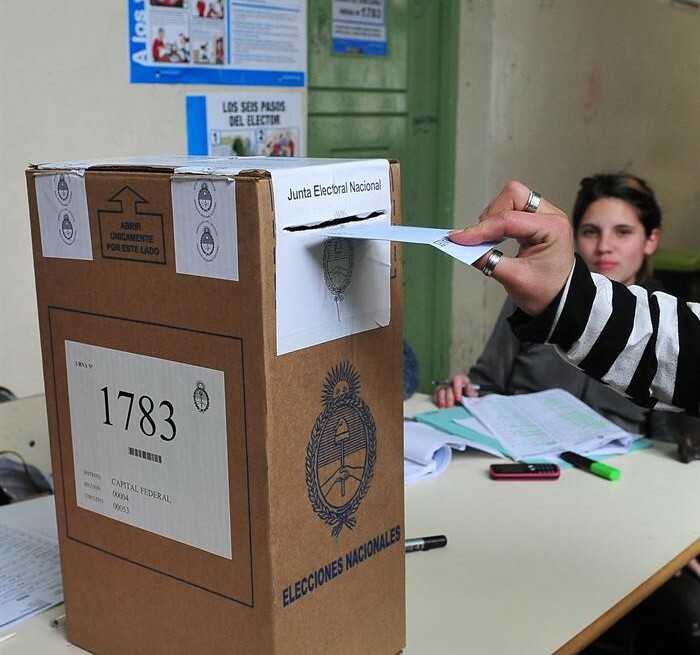 The contrast between manual and electronic elections was made more evident as e-voting pioneers Brazil and the USA underscored the immense benefits of technology while countries like Peru, the Dominican Republic, Haiti and Ecuador held out, stubbornly refusing to modernize and thereby, as in the case of DR, imperiling its very democracy. Let us take a more detailed look at events. US voters elected their new leaders on November 8. Despite all the noise about the possibility of hackers tampering with the vote, the elections went smoothly. The unabated proliferation of fake news took everyone by surprise and yet the voting itself experienced no problems. In the state of Wisconsin, where a recount took place, it was proved that when technology is properly implemented, the risks of the people’s will being tampered with are minimal, if not null. In October, Brazil deployed its huge e-voting platform boasting of some 450k voting machines. These were used for municipal elections where over 5,500 offices were to be elected. Despite the enormous political turmoil the country is experiencing, the country took a step forward in its political recovery with these elections. The political tension which arose from the close results of the Peruvian presidential elections made the final push for automation an imperative. The July 5th polls saw a neck and neck contest between the top contenders and revealed how ill-prepared the National Office of Electoral Processes (ONPE) was in dealing with a highly polarized nation. Although the country already has legislation to modernize voting, and has even designed an electronic vote model that has been under testing for years, the electoral authorities have been dragging its feet in rolling out e-voting. 2016 proved to be a rocky year for the DR. Its Central Electoral Board hired Spanish-based Indra Sistemas to provide biometric identification and automated voting technology for the May 15 polls. The poll body has recommended to review and audit the entire platform. The November 20th Haitian elections showed that the country is still heavily dependent on international aid to mount elections. Although it managed, however barely, to pull off the last general election (whose final results were delayed for weeks, triggering accusations of fraud), the experience made it clear that the country should lose no time modernizing its polls. After piloting an e-voting system where 100% automated models showed their superiority over those that only automate vote counts, The Ecuadorian National Electoral Council (CNE) surprised everyone by abandoning the initiative. Even more baffling, it declared the two bidding processes scheduled to purchase results transmission technology to be “deserted”. Instead, the poll body decided to accept a donation from the government of South Korea of 2,000 digitalization and transmission devices of precinct counts. To date, little is known about the systems on which the broadcast of results will be relying. What we do know is that the technology will merely scan and digitize manually filled out precinct counts. The Haitian elections of November 20th leave us with a lesson: Nothing has changed. The country which has been ravaged by the 2010 quake is still crying out for help, not least of which in the matter of administering elections. International aid, while generous, has not been enough to implement a fair and credible polls. This is beset with fragile institutions and technological and logistical backwardness. These have forced the country to delay its elections several times and has been forced to establish provisional governments. After the last general election (even though preliminary results generated accusations of fraud), many Haitians have felt that the time has come to modernize their elections and save their democracy. The Herculean task goes beyond just getting economic support from international circles. It also badly needs help from foreign elections experts and companies whose ideas and solutions would help Haiti get on the road to sustainable democracy. The latest elections proved to be a total mess with several high-profile candidates preparing legal actions against the results. The situation has deteriorated to the point that observers are clamoring to force the government to leave behind its old and inefficient manual system. It’s not only for its atrocious lack of transparency, but its very high cost. According to the Global Survey on the Cost of Registration and Elections, developed by the United Nations Development Programme and the International Foundation of Electoral Systems, the cost per voter is $11 in Haiti, which is nothing short of scandalous in such a poor country. The international community must be continuing to help Haiti, not just economically, but now, more than ever, ensure that the starts modernizing their elections. Democracy is, after all, everybody’s business.